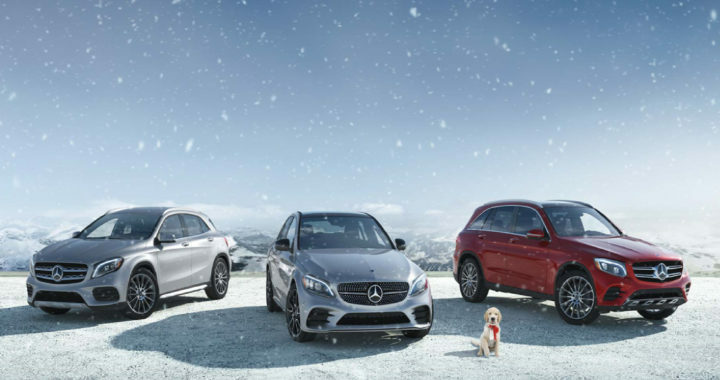 across the full line of models including luxury sedans, SUVs, coupes, roadsters, convertibles & more. Mercedes-Benz is a German global automobile marque and a division of Daimler AG. The brand is known for luxury vehicles, buses, coaches, and lorries. The headquarters is in Stuttgart, Baden-Württemberg. The name first appeared in 1926 under Daimler-Benz. Mercedes-Benz traces its origins to Daimler-Motoren-Gesellschaft’s 1901 Mercedes and Karl Benz’s 1886 Benz Patent-Motorwagen, which is widely regarded as the first gasoline-powered automobile. The slogan for the brand is “the best or nothing”. Emil Jellinek, an Austrian automobile entrepreneur who worked with DMG, created the trademark in 1902, naming the 1901 Mercedes 35 hp after his daughter Mercedes Jellinek. Jellinek was a businessman and marketing strategist who promoted “horseless” Daimler automobiles among the highest circles of society in his adopted home, which, at that time, was a meeting place for the “Haute Volée” of France and Europe, especially in winter. His customers included the Rothschild family and other well-known personalities. But Jellinek’s plans went further: as early as 1901, he was selling Mercedes cars in the New World as well, including US billionaires Rockefeller, Astor, Morgan and Taylor. At a race in Nice in 1899, Jellinek drove under the pseudonym “Monsieur Mercédès”, a way of concealing the competitor’s real name as was normal in those days. The race ranks as the hour of birth of the Mercedes-Benz brand. In 1901, the name “Mercedes” was registered by Daimler-Motoren-Gesellschaft (DMG) worldwide as a protected trademark. The first Mercedes-Benz brand name vehicles were produced in 1926, following the merger of Karl Benz’s and Gottlieb Daimler’s companies into the Daimler-Benz company on 28 June of the same year. Throughout the 1930s, Mercedes-Benz produced the 770 model, a car that was popular during Germany’s Nazi period. Adolf Hitler was known to have driven these cars during his time in power, with bulletproof windshields. Most of the surviving models have been sold at auctions to private buyers. One of them is currently on display at the War Museum in Ottawa, Ontario. The pontiff’s Popemobile has often been sourced from Mercedes-Benz. In 1944, 46,000 forced laborers were used in Daimler-Benz’s factories to bolster Nazi war efforts. The company later paid $12 million in reparations to the laborers’ families. Mercedes-Benz has introduced many technological and safety innovations that later became common in other vehicles. Mercedes-Benz is one of the best-known and established automotive brands in the world. For information relating to the famous three-pointed star, see under the title Daimler-Motoren-Gesellschaft, including the merger into Daimler-Benz. As part of the Daimler AG company, the Mercedes-Benz Cars division includes Mercedes-Benz and Smart car production. Mercedes-AMG became a majority-owned division of Mercedes-Benz in 1999. The company was integrated into DaimlerChrysler in 1999, and became Mercedes-Benz AMG beginning on 1 January 1999. Daimler’s ultra-luxury brand Maybach was under Mercedes-Benz cars division until 2013, when the production stopped due to poor sales volumes. It now exists under the Mercedes-Maybach name, with the models being ultra-luxury versions of Mercedes cars, such as the 2016 Mercedes-Maybach S600. Mercedes-Benz EQC The brand has also planned to launch its electric EQ brand with the EQC SUV being set for production in the year 2019. In September 2018, Mercedes unveiled the EQC, its first fully electric car, at an event in Stockholm. “Our electric vehicles will be built in six plants on three continents. We address every market segment: from the smart for two-seater, to the large SUV. The battery is the key component of e-mobility. As batteries are the heart of our electric vehicles we put a great emphasis on building them in our own factories. With our global battery network we are in an excellent position: As we are close to our vehicle plants we can ensure the optimal supply of production. In case of a short-term high demand in another part of the world, our battery factories are also well prepared for export. The electric initiative of Mercedes-Benz Cars is right on track. Our global production network is ready for e-mobility. We are electrifying the future. Posted in History, New Vehicles and tagged Bertha Benz The First Driver, Mercedes-Benz Dealership in Northeast Ohio, Mercedes-Benz Luxury Models, Mercedes-Benz of Akron, Mercedes-Benz of Cleveland, New Mercedes-Benz For Sale Near Me, Used Mercedes-Benz For Sale Near Me, who was the first driver?.